Jared Unzipped: What Not To Do If You Win The Lottery! It seems everyone has lottery fever at the moment. With the current estimated Powerball jackpot nearing $1.5 Billion dollars, I can certainly understand why. That's a lot of cash to spend should you win. Though, with the odds of picking the correct six numbers at 1 in 292 Million, well... you're probably not going to win. Don't get your hopes up. Don't tell anyone other than your most trusted family member that you won. In today's age with social media, it's really easy to let a secret slip. Should you happen to win the lottery, don't broadcast it online to anyone, for any reason. The moment you reveal the winning ticket is yours, you immediately become a target for thieves, scam artists, thugs and folks willing to do anything to steal it. If your state allows you to claim the winnings anonymously, then do so. Being in front of the cameras for a paltry fifteen minutes of fame just isn't worth the attention you'll garner. If your state doesn't allow you to remain anonymous, investigate establishing a trust with a dependable lawyer, whom may be able to claim the winnings for you, thereby keeping your name out of the limelight. Do not quit your job. Sure, you probably won't have to ever work again, but that's no reason to quit. Maintaining your job for the time being is all about keeping an appearance of normalcy. If everyone at work finds out you won the lottery, they're going to instantly start begging you for cash. Even still, just going to work and keeping to your routine prevents you from losing your mind. Your life is never going to be the same after winning the lottery. Keeping your wits about you is crucial. Don't forget to sign your ticket. A lottery ticket is a legally binding agreement. Should you forget to sign the ticket and it comes into the possession of someone else, then you're out of luck. After you sign your ticket, keep it in a secure location until you claim your winnings. Inconspicuously rent a safe deposit box at a bank and store your ticket there in the mean time. Don't avoid paying off all of your debt. Get your debt paid off first, before you buy a new house, car or vacation. Settling your debt is the first smart investment you can make in yourself. Do not make any large purchases immediately. Just because you're suddenly wealthy doesn't mean you should waste money. In fact, the first six months to a year after you win are the most crucial to your long-term success. Spending sprees set a precedent in your life, which will bankrupt you without sound financial planning. You'll immediately want to blow a million dollars on an around-the-world vacation and buy a mansion in Malibu -- DO NOT DO THIS. Let your jackpot fever subside and sit on it for a while. Will owning an expensive-to-maintain mansion surrounded by other millionaires make you happy? Probably not. Don't give sums of money to anyone. It's human nature to want to help people, but stay realistic with your lottery winnings. Just giving cash to your friends and family is a sure-fire way to ruin your relationships. Instead of giving a large sum to a loved one, offer to pay off their home or make a purchase for them. Buy a reasonable house or automobile that they can actually afford to maintain -- no expensive luxury cars or island estates! Not only does this give you direct control over the cash you're using, but it also has powerful tax implications that can affect both parties. Do not forgo sound financial assistance. You're going to need help managing your money. Quickly retain a lawyer and an accountant; make sure they're well reviewed and experienced. Good help will cost you money, but this is an investment in your future. Spending a little bit now to manage your millions will guarantee a long and fruitful life. Don't forget to budget yourself. Winning the lottery is just like taking home your weekly paycheck. The only difference is that there are a lot more zeroes behind your checking account balance. Stick to a budget and watch your spending. We've all heard stories of past lottery winners who have blown through their cash and wound up busted. Avoid becoming one of those ignorant losers! I've got my ticket for the upcoming Powerball jackpot. 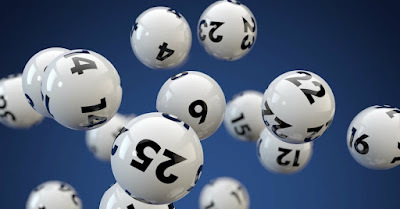 I have played the same six numbers for over ten years -- only one ticket per drawing. Statistically speaking, there's little reason to buy multiple tickets for a lottery drawing because the math doesn't really work in your favor. If I were to win... not too much would change, honestly. I'd still write every day, that's for sure!